"Timing is everything in life," says Capsicum Founding CEO and A&R Director Roger Meltzer , "I have been talking about working with Stephen (Ras Katri) Wise for decades, but it just started happening now. L.A.'s Tanta T Releases Capsicum Reggae Remake Of Sade R&B/Smooth Jazz Classic "No Ordinary Love"
Capsicum Releases Ricky Nevado Reggae Remake Of Country & Western Classic "You Don't Know Me"
Thriller U Releases Capsicum Reggae Remake Of Bill Withers R&B Classic "Grandma's Hands"
"ONLY YOU ALONE CAN QUENCH DIS YA THIRST"
Capsicum Releases "Someone To Believe In" As Sweet C Gospel-Reggae Fusion Sequel to "I Prayed"
"The night I first heard Sweet C sing, I was driving and listening to DJ Donovan Longmore’s Saturday night Reggae Voyage show on WESU 88.1-FM,” says Capsicum CEO and Director of A&R Roger Meltzer. “Madman” put on “Rise”, a song Sweet C co-wrote with her mentor Tony Rebel, “and her voice, her conviction, her command all struck me at once. The song itself, a fusion of dancehall and reggae, has gone on to become the black woman’s international anthem, but it was her voice that blew me away." Capsicum’s SAL ANTHONY debuts Reggae/Pop-Funk/Smooth Jazz Fusion "Talkin' To The Wall" Sequel to "Just Got Started (Lovin' You)"
Capsicum CEO and Director of A&R Roger Meltzer announced the addition of Patricia "Trish" Douglas to the Hartford, CT-based indie's staff in the capacity as its Director of Social Marketing. She will initially focus on expanding our presence on Facebook and Twitter. Writers: Roger Meltzer, Sal Anthony & Tony Ligouri, Jr.
DBtribute.org's release of a new Dennis Brown tribute CD, entitled "International Women of Reggae 2011", celebrating the women of reggae worldwide. includes "He Loves Me", a new acoustic mix of Capsicum Records' hit single, "Just As I Am" performed by Misteree, a 2011 nominee for the EME Best New Female Artist, among other highly respected international artists such as Chatta and Tequila. Proceeds from sales and downloads of the CD and its singles will be donated to purchase music and computer equipment for schools in Jamaica. Born in Ritchies, Clarendon parish, Jamaica, KKyan began his musical career as a toddler when KKyan’ s grandfather formed a full size acoustic guitar out of one sold piece of wood for him that KKyan still plays to this day. A native of Springfield, Massachusetts, Jasmin Elizabeth ”Chyna Doll” Blair began singing at the age of nine. Her music gene came via her father, Devon Anthony Blair, Sr., a reggae vocalist out of Kingston, Jamaica. Capsicum Records CEO and Director of A&R Roger Meltzer today extended heartfelt congratulations to Desi Hyson and his band The Original Wailers for their "Miracle" CD's 2013 Grammy nomination in the category of Best Reggae Album. 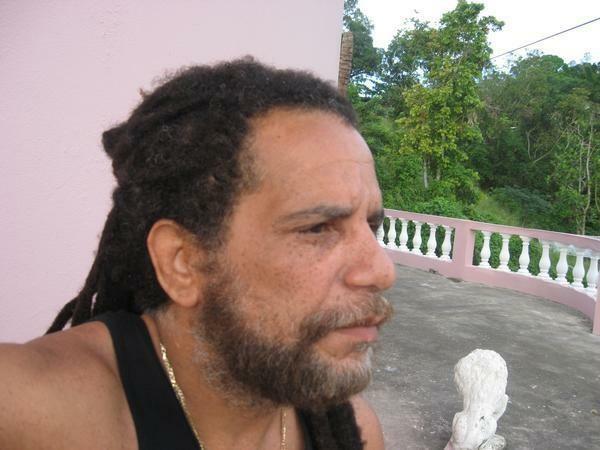 Four of the songs in the album were penned by the Dominica-born songwriter and composer who also serves as lead singer and keyboardist for the group.